Did you ever look in the mirror a few hours after spending a good amount of time on your hair only to notice all of those tiny annoying hair sticking up on the top of your head? I get so frustrated by this! Sometimes in my photos I feel as if it looks like I have a halo of hair around my head. And I’ll admit, sometimes I edit these tiny hairs out. The other day while I was watching Project Runway All Stars I noticed the hair team using this mascara wand to tame the flyaways while creating a tight updo. I set off to find out what this magic wand was called. 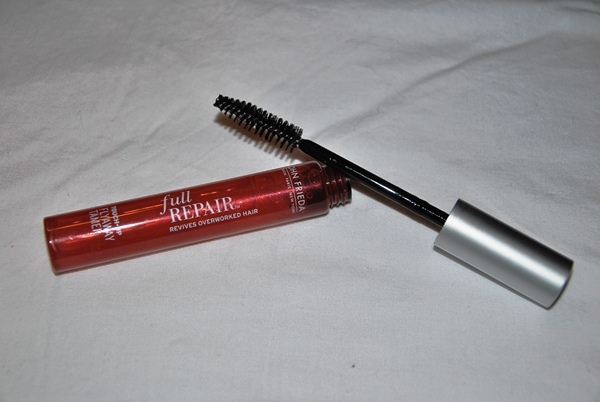 I introduce you to John Frieda’s Full Repair Flyaway Tamer (buy HERE). I am literally addicted to this little wand of magic. You simply run it over the top of your hair and it not only smooth’s the hair down but it holds it in place without leaving your hair hard and crunchy. I used this on New Years Eve when I did a high ponytail (HERE) and it worked wonders. I had no stray hairs flying around and I felt very posh. It even stayed perfect all night. One more thing- it smells wonderful! No lie. It’s hard to describe the scent but it smells really nice. So if you have the same fly away or tiny hair problem that I do you will fall in love with this like I do. I was in no way paid for this review. 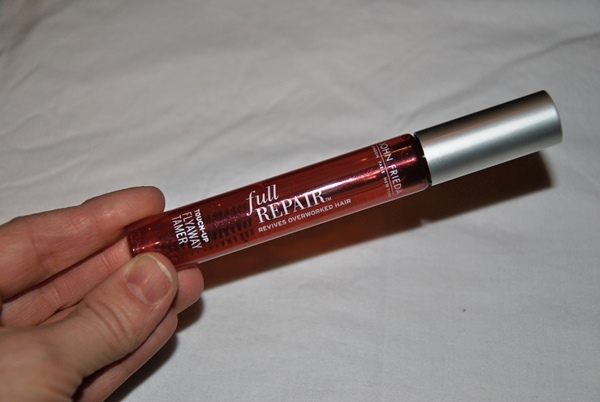 I purchased the John Fried Full Repair Flyaway Tamer and am simply just voicing my opinion and sharing with you, my reader, something I loved and found interesting.